Library resources for Mechanical Engineering. Take a look at this BROWZINE Subject Guide for more information. The IQS (Industry Quick Search) Directory is a FREE, website providing content covering engineering, the manufacturing industry and much more. AIAA meeting papers contain the most recent discoveries in aerospace and related fields. Coverage: 1963 – present. Contains abstracts and bibliographic citation information on articles in mechanics and related fields published in over 500 international journals. Available at PSE TA1.A6, V.1, 1948-2004. The most comprehensive bibliographic database of engineering research literature, containing references to over 5000 engineering journals and conferences. About half the citations (from 2600 journals and conferences) include abstracts and indexing in the records. Citations from scholarly journals, conference proceedings, books, reports, and dissertations in physics, electrical engineering and electronics, computers and control, and information technology. Coverage: 1898 – present. Contains abstracts and full-text documents (1917-1958) to NASA’s predecessor the National Advisory Committee for Aeronautics. NTRL (National Technical Reports Library) is from the National Technical Information Service (NTIS). NTRL indexes government-sponsored research, development and technical reports and provides full-text access to reports that have been digitized. Searches over 2 million reports with links to over 500,000 full-text reports. Our academic subscription provides access to “Digital-on-demand”, which will digitizes reports not currently full-text that UCD users find in the NTRL database. Keyword searchable database of NASA-wide technical reports. NREL Publications Database covers subjects related to sustainable energy technologies from 1977 to present. The National Transportation Library is a repository of materials from public and private organizations around the country. SAE is a database of technical papers, magazine and journal articles, books, reports, and standards published by the Society of Automotive Engineers. Coverage: full-text technical papers 1906 – present, full-text journal articles 1998 – present. The SPIE Digital Library is a comprehensive, online tool for locating papers on optics, photonics, optoelectronics, and imaging. Subject coverage is broad across optical technology, including astronomy, aerospace, remote sensing, biomedical optics, communications & fiber optics, electronic & medical imaging, lasers, microelectronics & micromachining, nanotechnology, optical physics, chemistry & biology, and signal & image processing. About 15,000 papers are added annually. The SPIE Digital library provides access to the papers published in: Proceedings of SPIE, Optical Engineering, Journal of Electronic Imaging, Journal of Biomedical Optics, Journal of Microlithography, Microfabrication, and Microsystems, Journal of Applied Remote Sensing, and Journal of Nanophotonics. Coverage: varies; as early as 1962-present. TRID includes over 900,000 records covering transportation research from ITRD and TRIS. It includes TRB publications going back to 1923, including Highway Research Board, SHRP, and Marine Board publications. Also indexed are Environmental Impact Statements, theses, reports, and research in progress. TRID is the world’s largest and most comprehensive bibliographic resource on transportation research information, covering all modes and disciplines of transportation. Coverage: 1920s – present. Lists only online journals that UC Davis has an online subscription to. If we have a print subscription, the journal will not be listed here. (formerly Harvest Catalog) The Library Catalog tells you what the UC Davis library owns, what the call number is, where it is located, and whether or not it is checked out. If there is an electronic version that we subscribe to, the link will be in the catalog. Library catalogs only search catalog entries (author, title, subject indexing, etc) not the full text of the book. Google Books searches full-text of books (only titles that Google has scanned), but you cannot access most of them (because they are still under copyright). OCLC catalog: millions of records for books, journal titles and materials in other formats from approximately 12,000 libraries worldwide. Coverage: 1000 A.D. to the present. Springer eBooks include more than 60,000 titles in English (and selectively in German) from every scientific discipline and many social sciences. Wiley Online Library Ebook Collection – NOTE: Interface does not separate ebooks from Wiley ejournals. Over 2,000 books with 2011-2016 publication dates. The Wiley ebook license comes with broad and favorable rights for, scientific, scholarly and educational uses. The University of California eBooks Collection includes about 2,000 titles and is made available through a partnership between the University of California Press and the California Digital Library’s eScholarship program. Patent literature is a rich source of technical and research data much of which is never published or disclosed elsewhere. In addition, patents and patent applications are often published earlier than academic papers. In addition to the USPTO, esp@cenet and Google databases linked to below, there are a number of other resources available to UCD that index patent literature. Among those are: BIOSIS, NTIS and SciFinder Scholar. For information on how to access and search these resources, see the PSE Databases page. The PSE Library has only a limited number industry standards and specifications in its collection. See Standards available at UCD for those that we do currently have access to. Please search either the UCD Davis Catalog or the Melvyl (usually by the title of the standard or specification) to determine whether we own standards from other standards organizations such as AASHTO, ANSI, ASHRAE, ASME, ISO, etc. Most standards organizations have websites that allow you to search and order standards directly from the publisher. There are a number of more comprehenisve standards indexes available for searching and ordering as well. The UC Davis Library will now purchase print copies of standards for UC Davis affiliated faculty and researchers for the library’s collection and make them available to you. Please keep in mind that we do already provide full-text online standards from ASTM, IEEE, ASCE, and ASABE and also have current print editions from a handful of other societies and standards bodies. If you aren’t sure if we already have access to a standard, please feel free to send an e-mail to Melinda M. Livas at mmlivas@ucdavis.edu. Searching and ordering through the IHS Standards Expert database does require registration. Step by step instructions are available at http://guides.lib.ucdavis.edu/IHS_setup. You are not required to request standards through the IHS interface and/or if you happen to already know what standard you need, you can either request using the following order form or by contacting Melinda M. Livas at mmlivas@ucdavis.edu. Use IHS Standards Expert resource to search for, and order specific Standards; please register to set-up an account. 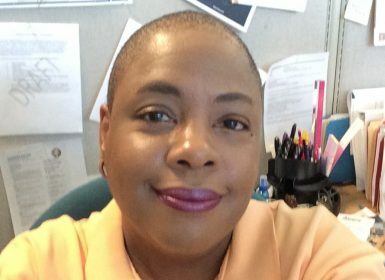 To learn more about access to complimentary standards, the University Outreach Pilot Program, or a copy of the enrollment form, please send a message to Melinda M. Livas at mmlivas@ucdavis.edu. AASHTO (American Association of State Highway and Transportation Officials) AASHTO specifications include Standard Specifications for Transportation Materials and Methods of Sampling and Testing PSE Reference TE200 .A615 2009; AASHTO Provisional Standards PSE Reference TE200 .A53 2009; Roadside design guide PSE Media TE228 .A49 2006 CDROM; AASHTO LRFD bridge design specifications PSE Reference TG310 .A43 2010; and Standard specifications for highway bridges PSE Reference TG310 .A6 2002 among others, please check the Library catalog. ACI (American Concrete Institute) Most recent edition of ACI manual of concrete practice is available at PSE TA682 .A5. Earlier print volumes are avaialble from UCD/NRLF TA682 .A5. AISC (American Institute of Steel Construction) AISC specifications can be found in the Steel construction manual in PSE Reference TA684 .A5 2011. ASABE (American Society of Agricultural and Biological Engineers) Web access to current ASABE standards requires UCD IP. Current paper copies are available at PSE Reference S671 .A41. Earlier versions in print are available from UCD/NRLF S671 .A41. ASCE (American Society of Civil Engineers) Online for standards 2016 to present. We should have a fairly complete set of current ASCE standards and provisions in print prior to 2016. Search the library catalog by the standard/provision title. ASTM (American Society for Testing and Materials) Online access to all ASTM standards (active, historic, and withdrawn) covering a broad range of engineering disciplines (aerospace, biomedical, chemical, civil, environmental, geological, health and safety, industrial, materials science, mechanical, nuclear, petroleum, soil science, and solar engineering). Standards are searchable by keyword or standard number, with full text access to all standards in either PDF or HTML format. ASTM Standards and Engineering Digital Library also includes online access to journals, e-books, manuals and symposia papers published by ASTM. 2011 standards, also available in print at PSE Reference TA401 .A68. Previous years available in print from UCB/NRLF TA401 .A53. AWWA (American Water Works Association) Most recent edition of Standard methods for the examination of water and wastewater, available at PSE Reference QD142 .A5. Ealier years are available at PSE & Shields QD142 .A5. ICC (International Code Council) PSE Reference K3538 .I68 2014, this set includes: [v. 1.] International building code — [v. 2.] International residential code — [v. 3.] International fire code — [v. 4.] International energy conservation code — [v. 5.] International plumbing code — [v. 6.] International mechanical code — [v. 7. ] International private sewage disposal code — [v. 8.] International fuel gas code — [v. 9. ] International property maintenance code — [v. 10.] International zoning code — [v. 12.] International existing building code — [v. 13.] International Code Council performance code — [v. 14.] International wildland-urban interface code — [v. 15.] International swimming pool and spa code. International Telecommunication Union Recommendations Free web access to all currently approved ITU standards. IEEE (Institute of Electrical and Electronics Engineers) Web access to current IEEE & ANSI/IEEE approved standards requires UCD IP. NISO (National Information Standards Organization) Web access to all currently approved ANSI/NISO standards. SAE (Society of Automotive Engineers) Current SAE ground standards are available via the SAE Handbook, PSE Media TL5 .S6 2008. Earlier years are available at PSE TL5 S6. UBC (Uniform Building Code) Replaced by International Building Code, see ICC above. ASSIST ASSIST-Quick Search provides direct access to Defense and Federal specifications and standards available in the official DoD repository. Defense Technical Information Center (DTIC)s Scientific and Technical Information Network Provides access to citations of unclassified unlimited documents that have been entered into DTICs Technical Reports Collection from December 1974, as well as the electronic full-text of many of these documents. EndNote is citation management software that allows you to store, manage, and format bibliographic citations, and easily change formatting of citations in Word documents. Available, and free to UC Davis students, faculty & staff (campus has a site license). RESOURCES > SOFTWARE > Type EndNote in the search box > Select download link that corresponds to your desktop’s operations system. For installation help, contact Campus IET or your department’s computer support. EndnoteWeb: Requires online registration. EndNoteWeb allows you to store, share, and organize your research content. Web-based; able to access content 24/7. Perfect for sharing citations with a group. Visit these reputable sources for examples of APA style citations. Citing references begins on page 34. Created by the University of California Libraries. These free tools prompt you to enter in the components of a citation, and configure the elements according to APA guidelines. Make sure you verify the accuracy of your results by consulting the Publication Manual! This site is maintained by the Hekman Library at Calvin College in Michigan. Select ‘APA’ from the Citation Styles menu. ORCID (Open Researcher and Contributor ID)- distinguishes your research from other researchers by providing a persistent digital identifier. seamlessly links to multiple research formats, i.e., grants, manuscripts, etc. 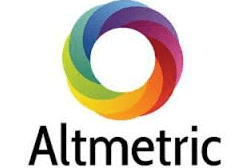 Altmetric provides a social media profile for an article, including: blogs, tweets, Facebook, Google+, CiteULike, Wikipedia, Mendeley, Connotea, Reddit, and news outlets that have referenced the article. Includes links to postings and metrics. 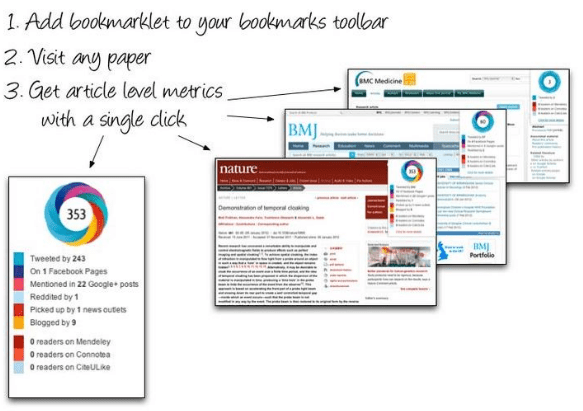 Sign up for an Altmetrics Bookmarklet: it is FREE!! !